CT2348 - Made of 210D polyester. Large front zippered pocket. Built-in slot for ear buds. Drawstring closure. Reinforced eyelets. 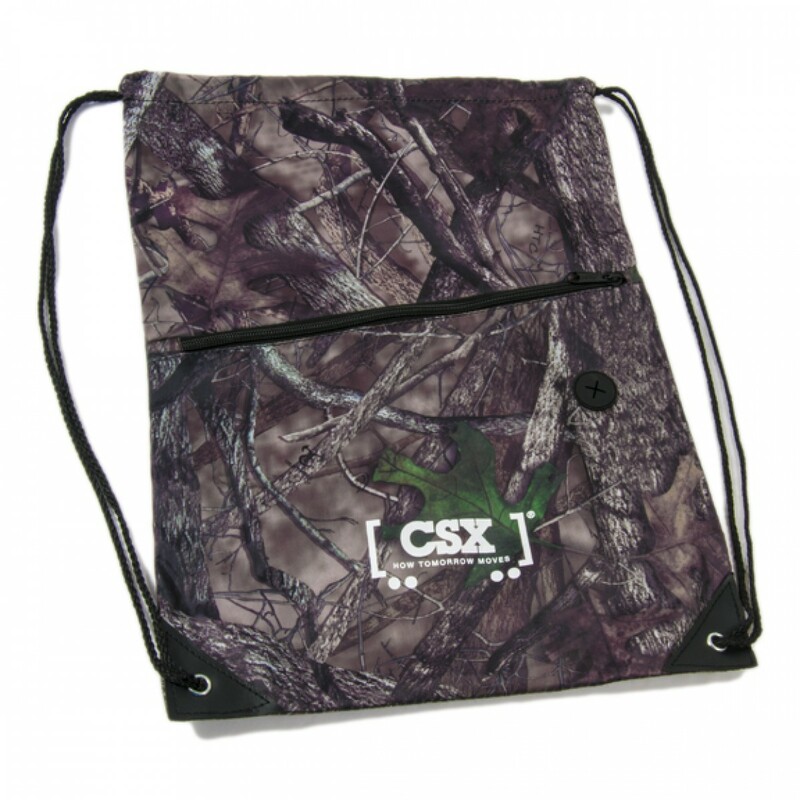 True Timber camouflage with white CSX railcar logo.